If you’re not taking a class on Friday morning, join a group for breakfast at Clocker’s Corner at Santa Anita Racetrack in nearby Arcadia. A Santa Anita landmark, Clocker’s Corner is a trackside, open-air café that is open from 7:30 a.m. to 10:30 a.m, Monday thru Friday. Enjoy an early morning breakfast and mingle with the horsemen as the horses go through their morning workouts. 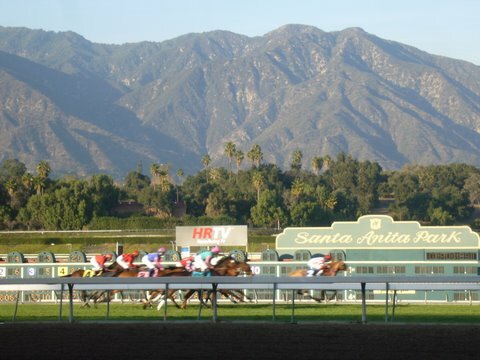 Workouts continue at Santa Anita Racetrack, even though the season closes on October 26. Send e-mail to asbavisitors@sbcglobal.net if you would like to go. For more information about the racetrack and its beautiful location, go to the track website.